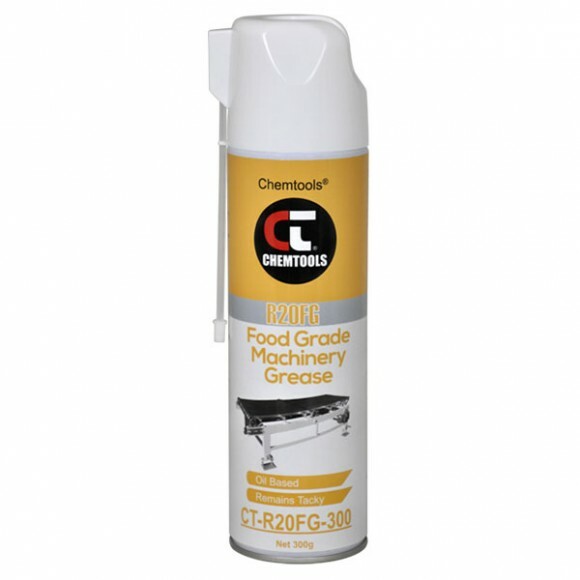 Chemtools R12FG Belt Grip is ideal for any equipment containing conveyor belts in the food and pharmaceutical industry. 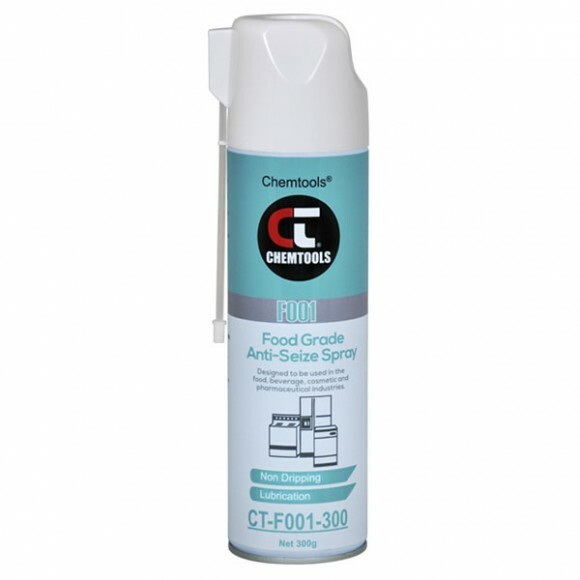 This synthetic product remains tacky, will not dry and is water-resistant, prevents belt slipping and will maintain belt flexibility. 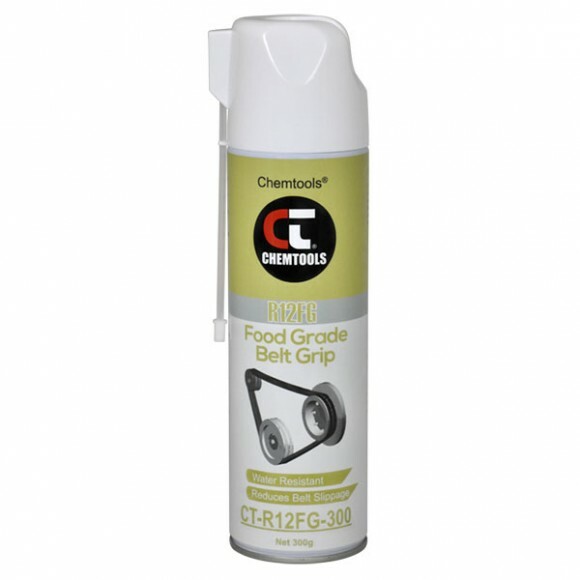 R12FG provides instant grip, prevents glazing, cracking and reduces slippage. 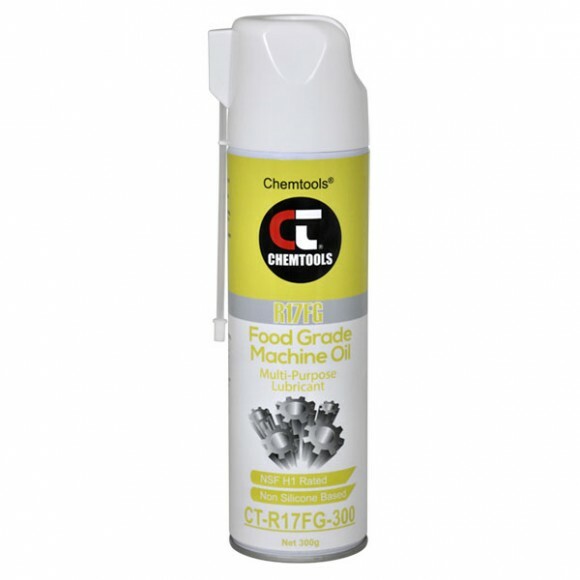 Keeps belts clean without attracting dust. All types of belts including, flat belts, V belts, round belts, appliance drive belts, sanding and polishing belts. 1770	SKU: CT-R12FG. 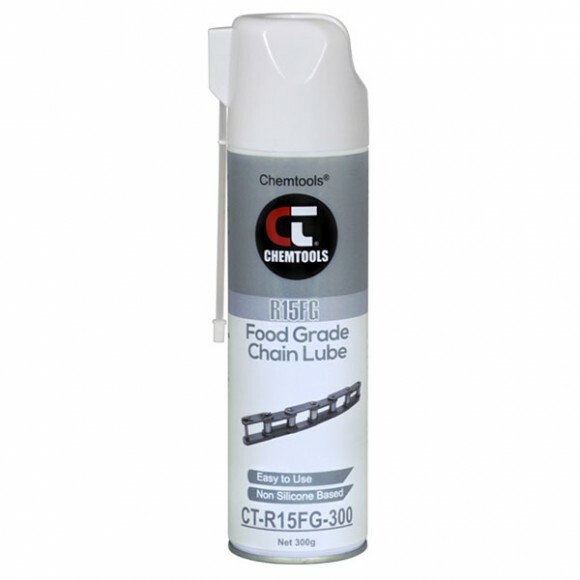 Category: Food Grade.